Rivendell Elf Helm | BUDK.com - Knives & Swords At The Lowest Prices! Hidden in a valley east of the sea was the Last Homely House, Rivendell, abode to both Sindar and Noldor Elves, and its master, Lord Elrond™. Rivendell was an outpost against the rise of the dark powers of Middle-earth. It was protected by the Rivendell Guard, who were stationed at its gates and patrolled the outskirts of the valley. The high sophistication of the Elven race was evident in the armor and helm worn by the Gaurd. The ancient design of the armor had been perfected long ago, dating back to the Second Age when Elrond and the High Elves battled the forces of Sauron™ on Mount Orodruin. 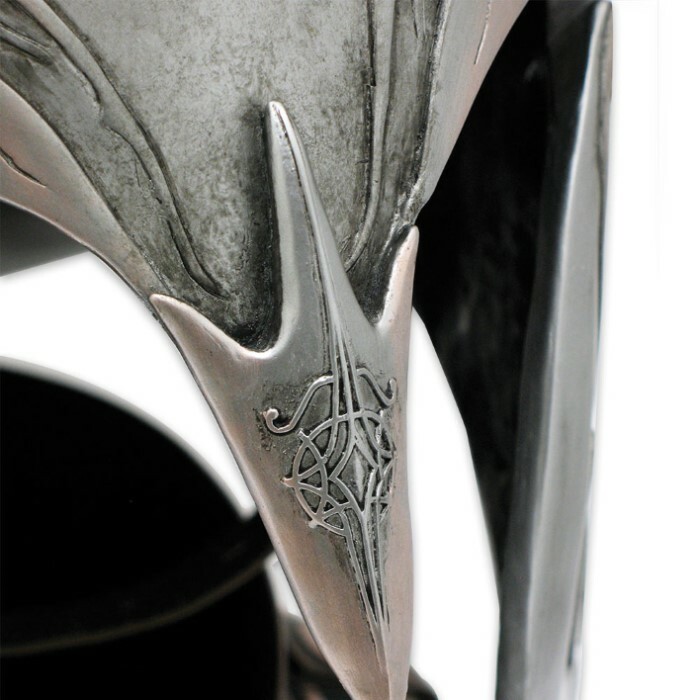 The helm, which has the appearance of being beaten out of a single sheet of steel, is a flowing, elegant design with a high-bladed crest adorned with Elven vines. Embossed into the nose guard is an Elven sigil representing the House of Elrond.This authentically detailed replica is a reproduction of the actual filming prop used in the motion picture, THE HOBBIT: THE DESOLATION OF SMAUG™, built by Weta Workshop of New Zealand. The helm is crafted of reinforced polyresin, with precisely-molded details and coloring, including weathering and aging effects. 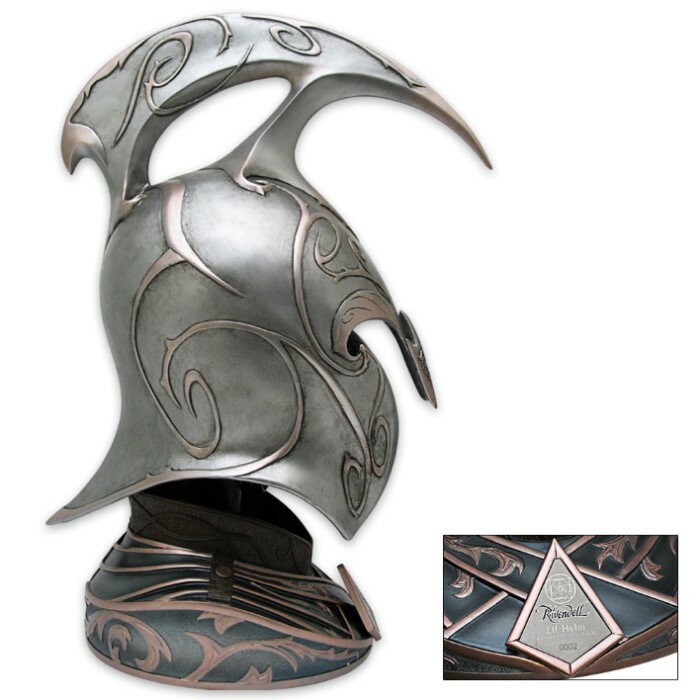 It is presented with a polystone and wood display, sculpted in the shape of the Rivendell guard neck and shoulder armor. It includes a certificate of authenticity. I love the Helmet it is very well made. They need to make the armor and shield to match! 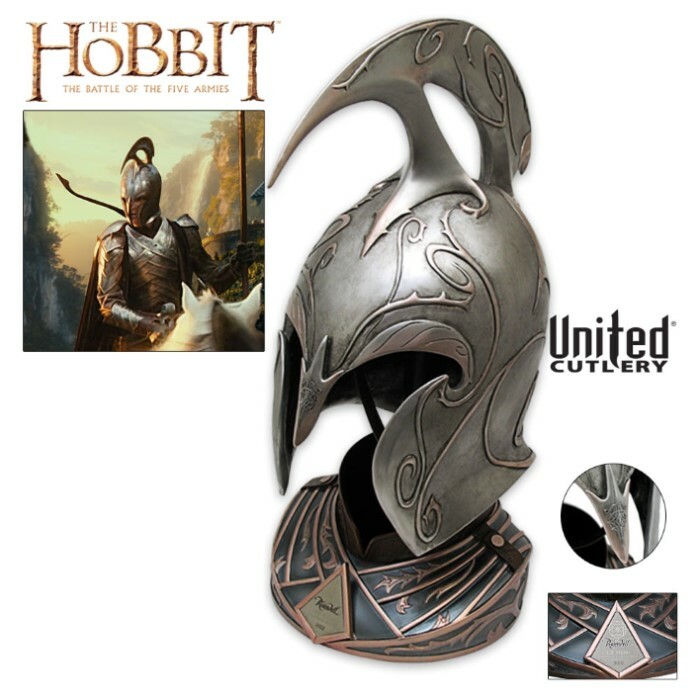 Why do they always make the Elven stuff... Show me a Dwarven Warrior helm. I'll buy two of those, shields too.